Note to up-and-coming fighters: stop wasting time working your way up the ladder by doing stupid things like winning fights and building your brand. Instead, try soliciting some of the major players in the UFC front office, because it’s not who you know, it’s who you … well, you get the idea. 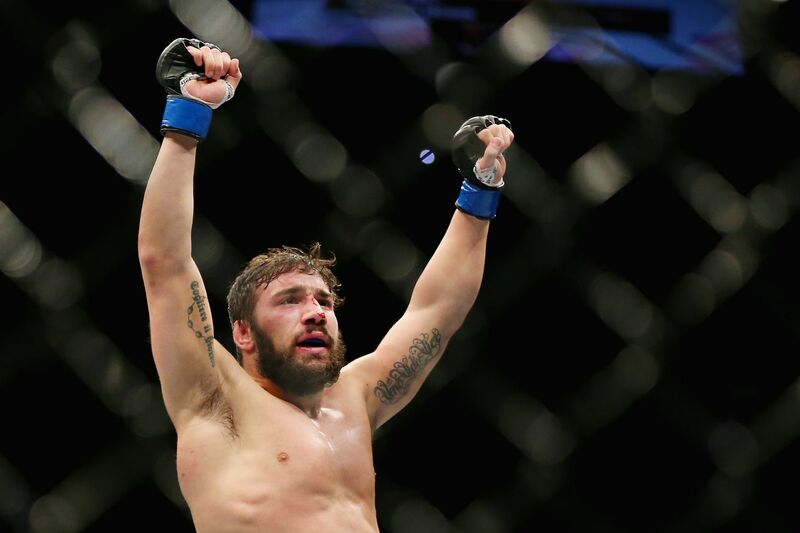 That’s according to top bantamweight contender Jimmie Rivera, who takes issue with the way former champion, Cody Garbrandt, “earned” his title shot. Rivera is sour because Garbrandt is sitting on the sidelines until 2019, a timeout designed to help his recovery from lingering injuries, which means “El Terror” can take a different fight, or ride the pine until “No Love” is good and ready. That might be easier said than done, as the waters remain stagnant at 135 pounds with champion TJ Dillashaw dropping to flyweight for a Henry Cejudo showdown, while Marlon Moraes and Raphael Assuncao run it back for the next crack at the crown. Until UFC matchmakers come up with something better, check out the rest of the bantamweight Top 10 right here to see some of Rivera’s other options.